The South Pacific Regional Fisheries Management Organisation is an inter-governmental organisation that is committed to the long-term conservation and sustainable use of the fishery resources of the South Pacific Ocean and in so doing safeguarding the marine ecosystems in which the resources occur. The SPRFMO Convention applies to the high seas of the South Pacific, covering about a fourth of the Earth's high seas areas. 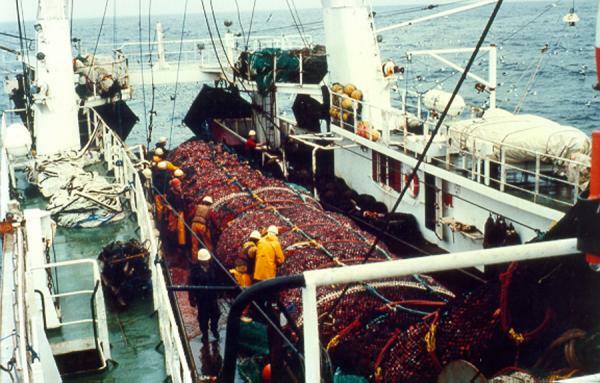 Currently, the main commercial resources fished in the SPRFMO Area are Jack mackerel and jumbo flying squid in the Southeast Pacific and, to a much lesser degree, deep-sea species often associated with seamounts in the Southwest Pacific. The Organisation consists of a Commission and a number of subsidiary bodies. New Zealand is the Depositary for the SPRFMO Convention and hosts the SPRFMO Secretariat in Wellington. Republic of Colombia, Curaçao, Republic of Liberia, and Republic of Panama.